I.6.3 Pompeii. Officina di Vero gromatico. Workshop of Verus the Blacksmith. 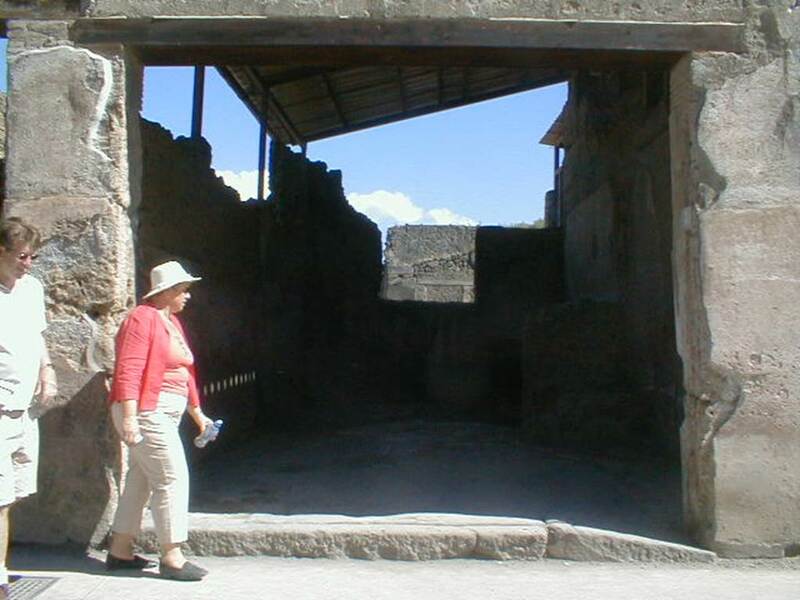 I.6.3 Pompeii. May 2010. 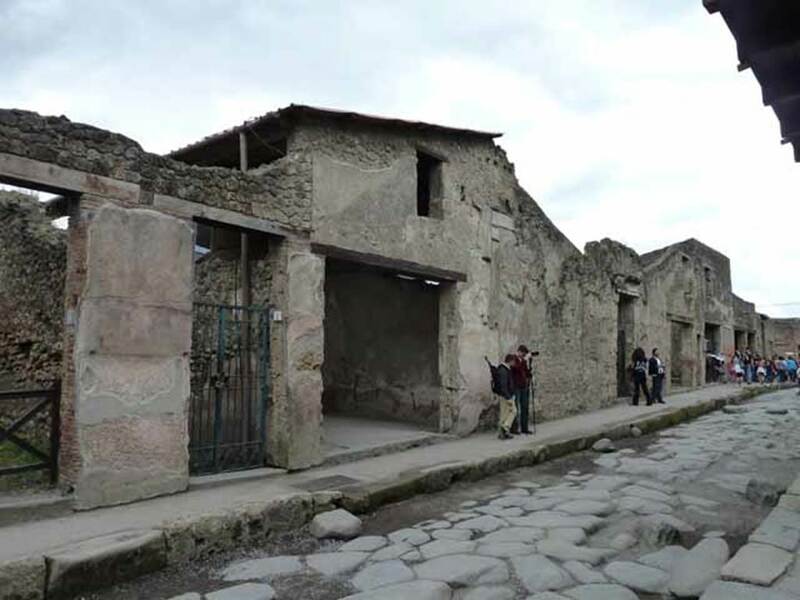 Workshop and façade of insula I.6, looking west along Via dell’Abbondanza. 1.6.3 Pompeii. May 2010. Upper floor. I.6.3 Pompeii. December 2006. Entrance and façade. electoral recommendations could be read on the west (right) side of the entrance doorway, when it was first excavated in 1911. These were numbered CIL IV 7146, 7142, 7144, 7148 and 7150. See Varone, A. and Stefani, G., 2009. Titulorum Pictorum Pompeianorum, Rome: L’erma di Bretschneider, (p.54). 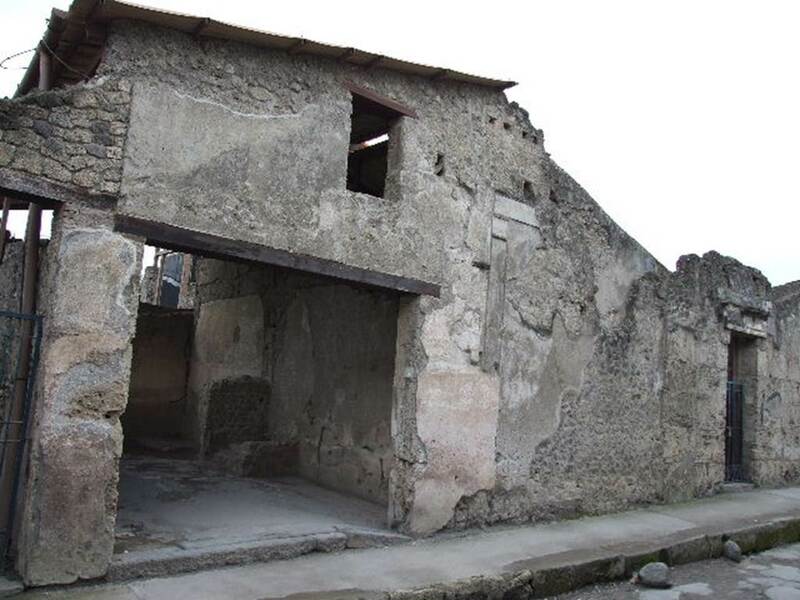 I.6.3 Pompeii, c.1920. Graffiti to right of entrance. 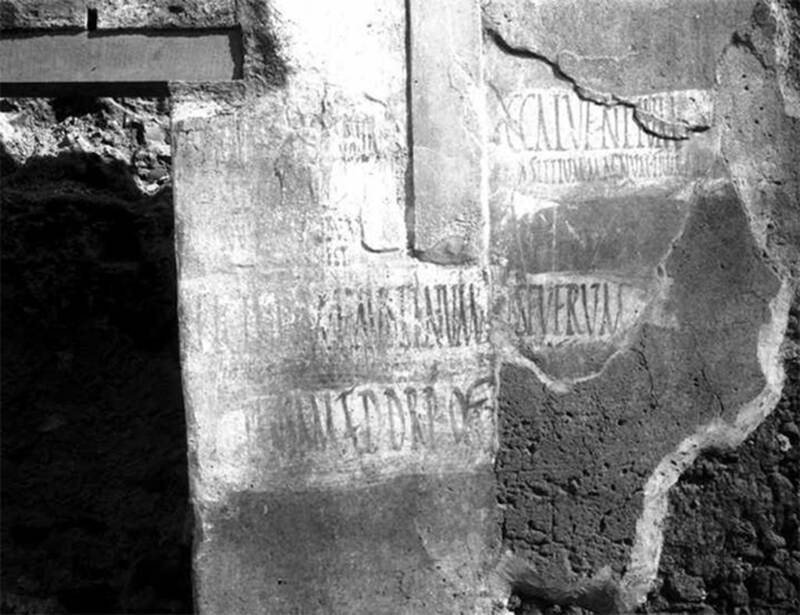 According to Della Corte, on the pilaster on the right of the doorway, having seen the presence of an older programma, here and there transparent through the letters of another already published (Report of the month of April 1912, number 10) I proceeded to transcribe it entirely, peeling here and there the rear of lime. See Notizie degli Scavi di Antichità, 1914, (p.154). 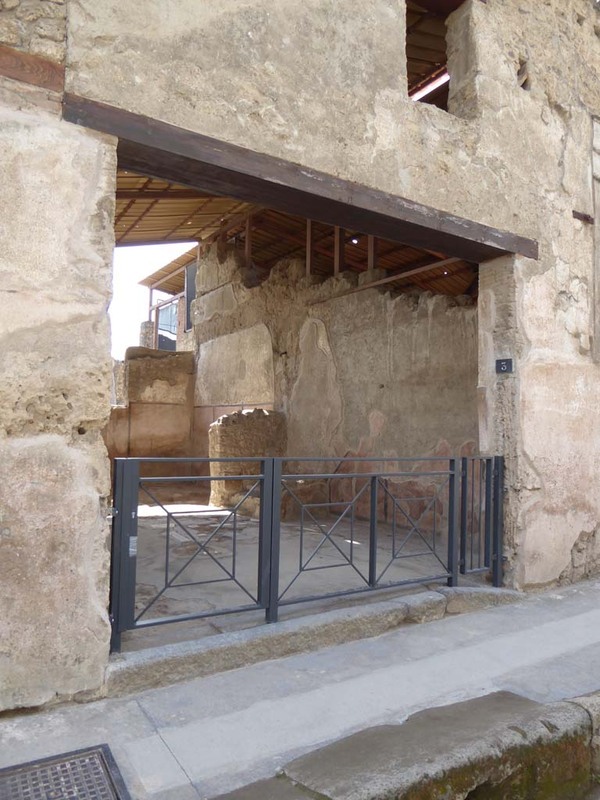 According to Della Corte, as for No.3, the excavation works here were held at the height of the upper floors. The letters of the first line measure in height 0.27m. See Notizie degli Scavi di Antichità, April 1912, (p.141, numbered 10). I.6.3 Pompeii. May 2005. Entrance. I.6.3 Pompeii. May 2005. Looking south across workshop, with steps to upper floor on the right. The high zoccolo of Opus signinum with panels separated by black bands and edged by thin red lines formed the simple decoration of this workshop and followed the line of the stairs leading above. 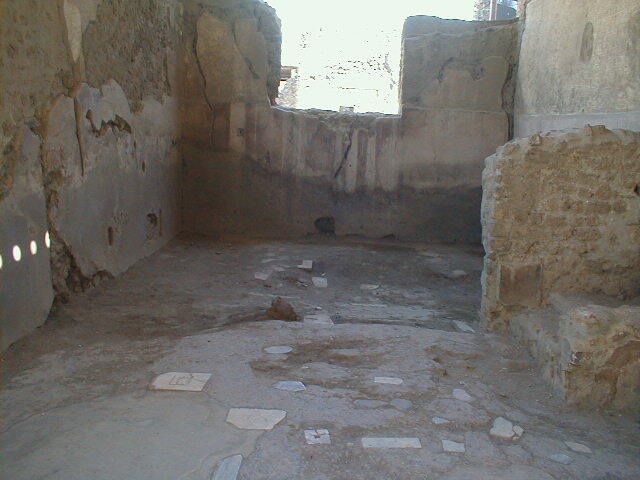 The decoration of the Opus signinum floor had inserted polychrome marble tiles. In the south wall of the rear room was a window, which took its light from the atrium of the neighbouring house at I.6.2.